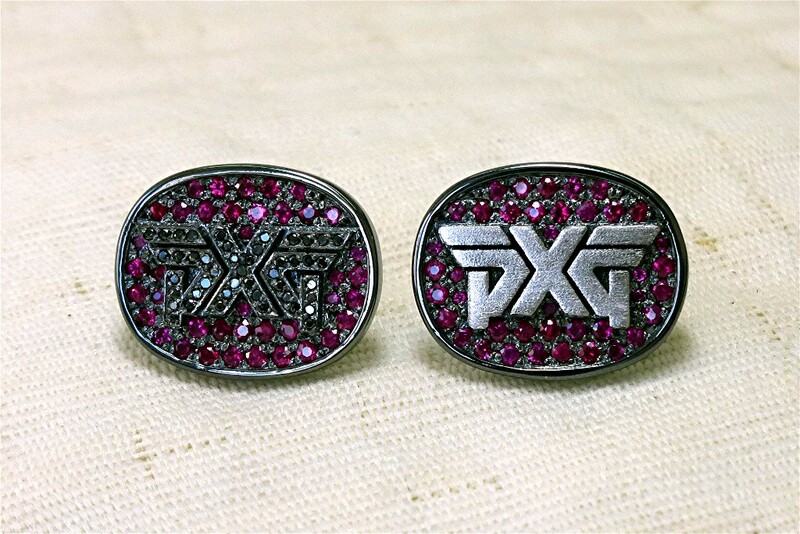 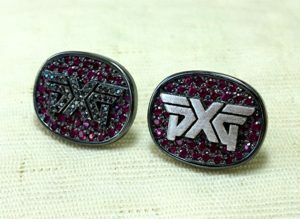 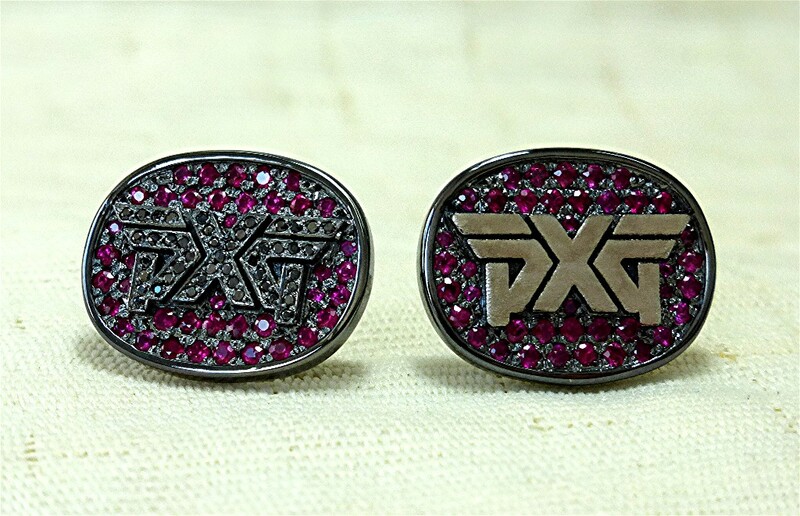 Left side: Logo earring made of 14k gold with black rhodium which is pave set with 45 black diamond, 0.15ct, and 40 rubies in background, 0.70ct, with friction post. 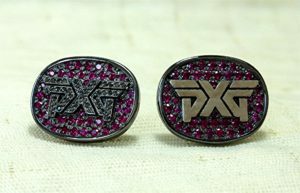 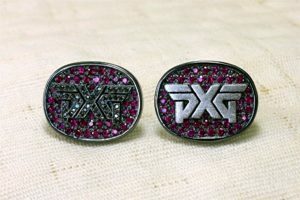 Right side: Logo earring made of 14k gold with black rhodium which is pave set with 40 rubies in background, 0.70ct, with friction post. 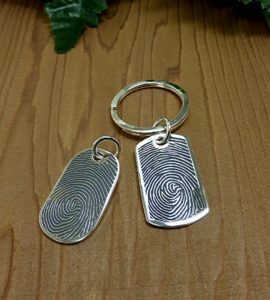 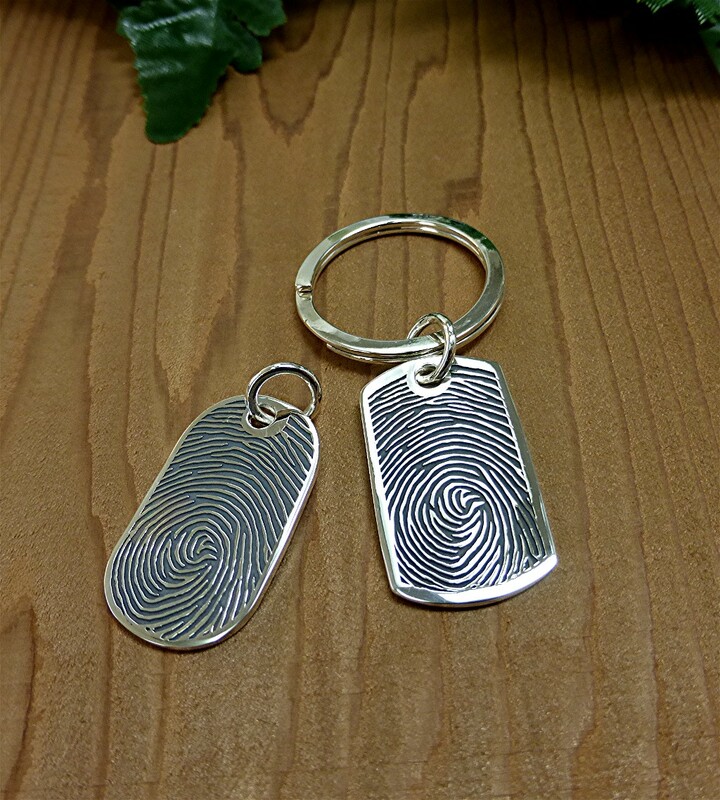 Enhanced finger print of customer has been laser engraved in to silver pendant and key chain. 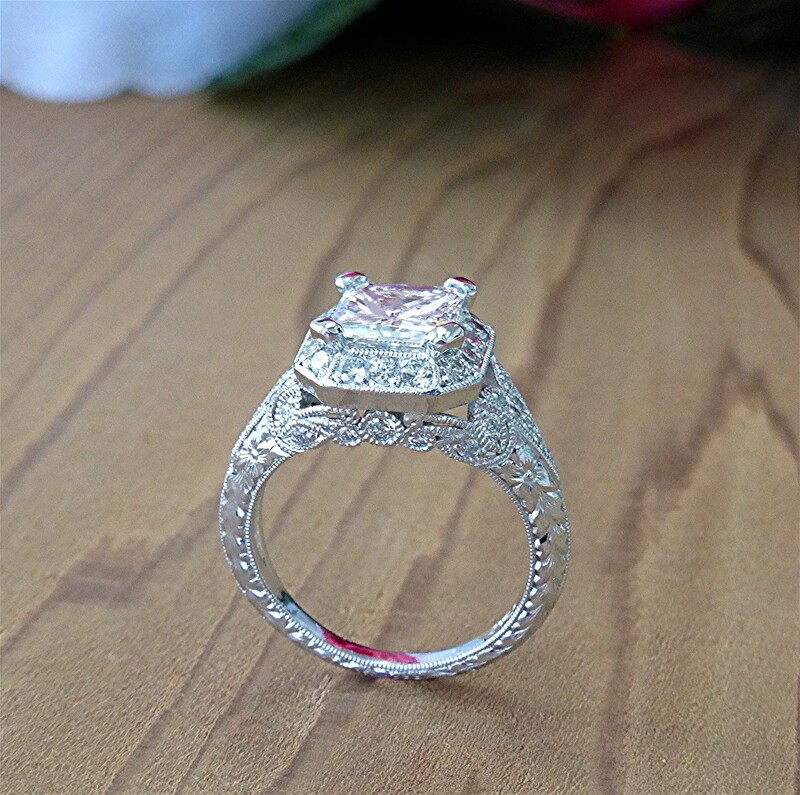 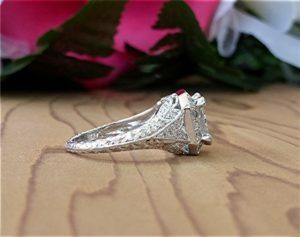 Made of 18k white gold with 43 round brilliant cut diamonds G, H, SI-VS diamonds totaling 0.74ct. 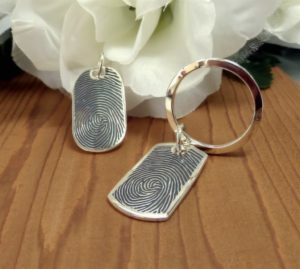 Set micro U set style. 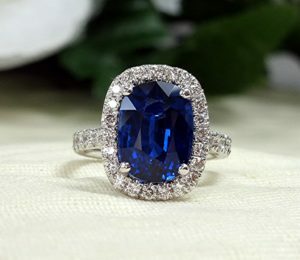 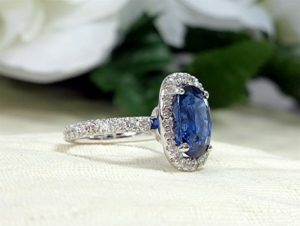 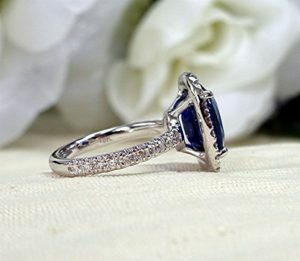 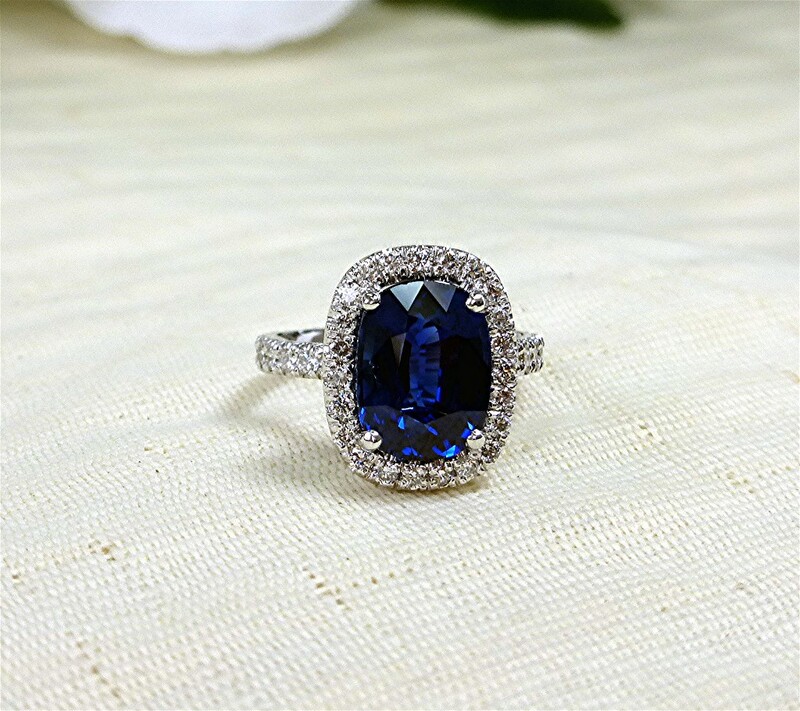 Center is cushion cut (11.02×8.19×5.25) beep blue sapphire. 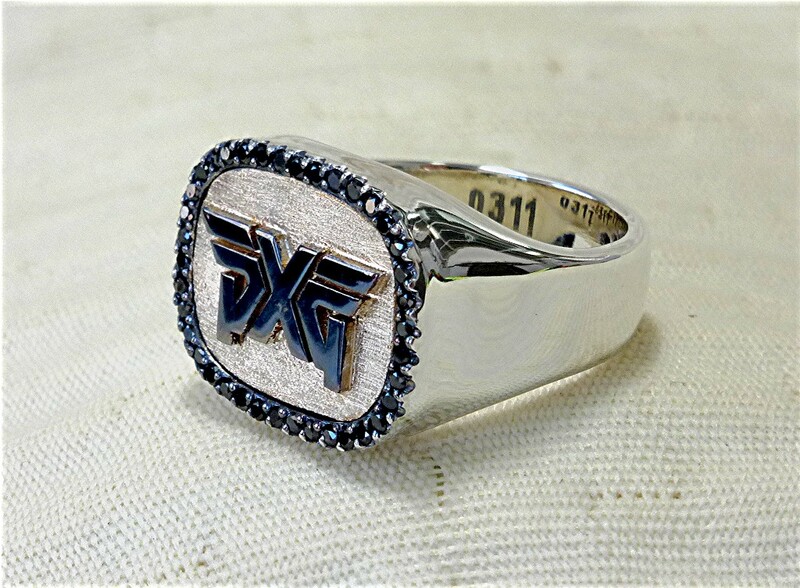 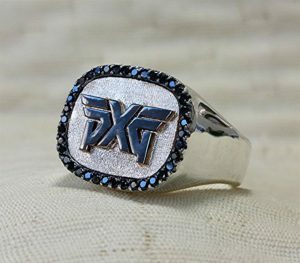 Logo ring contains 38 black diamond prong set totaling 0.56ct. 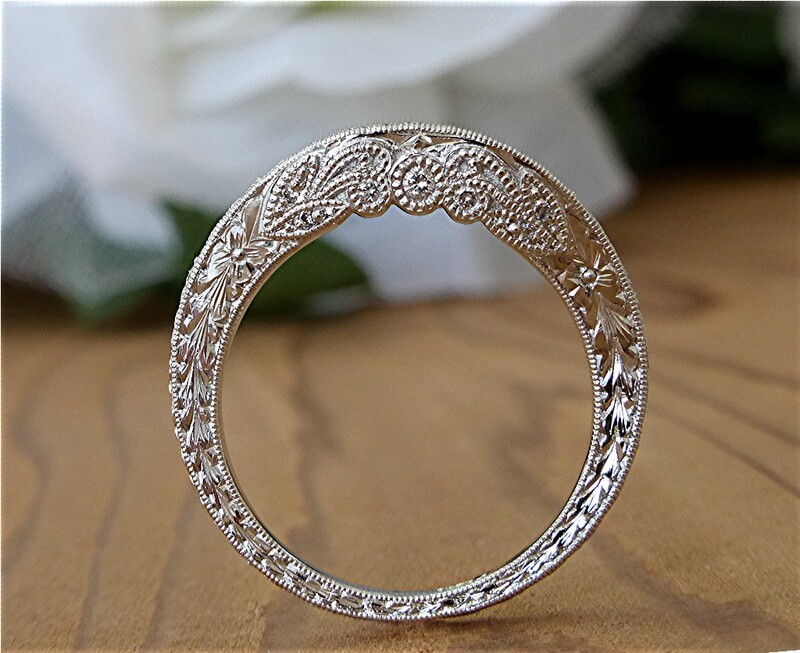 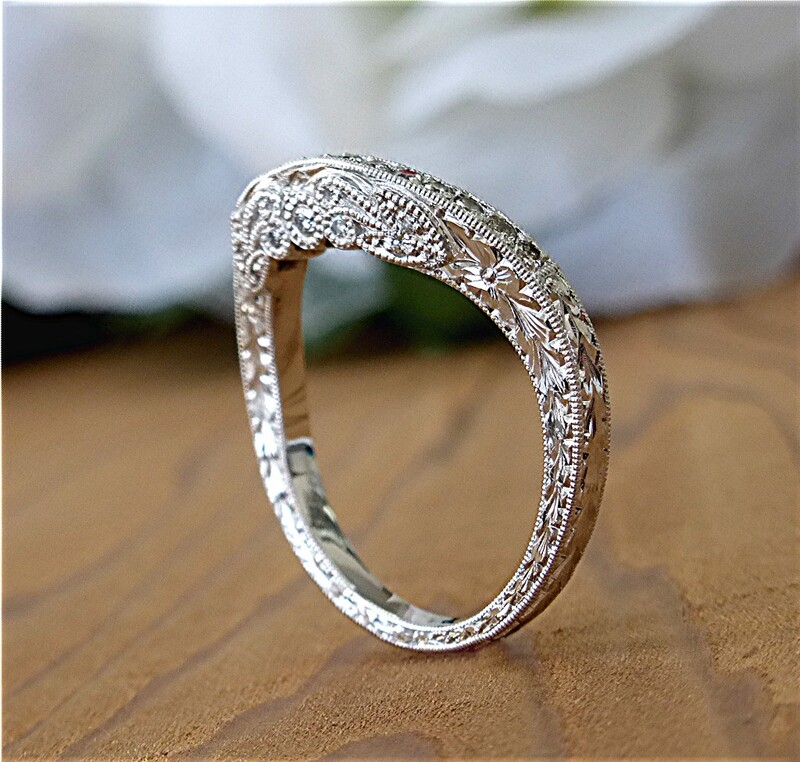 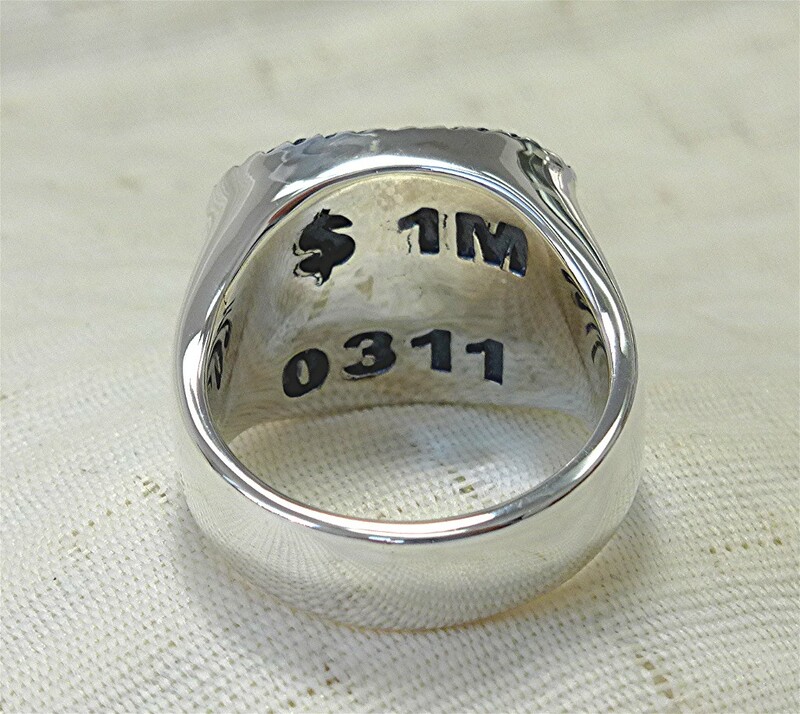 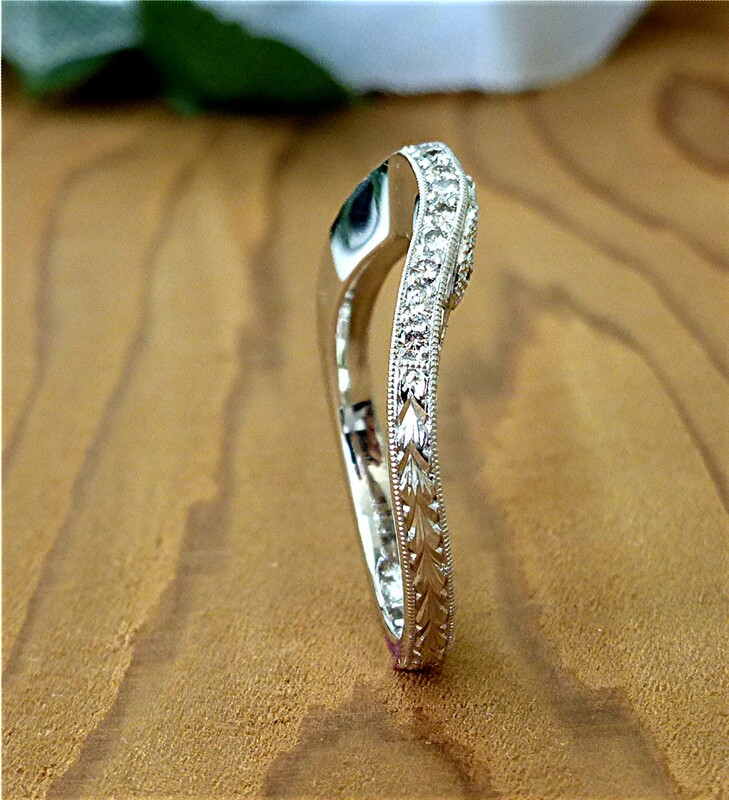 It is made of silver partially oxidized, with two line deep engraving inside the ring. 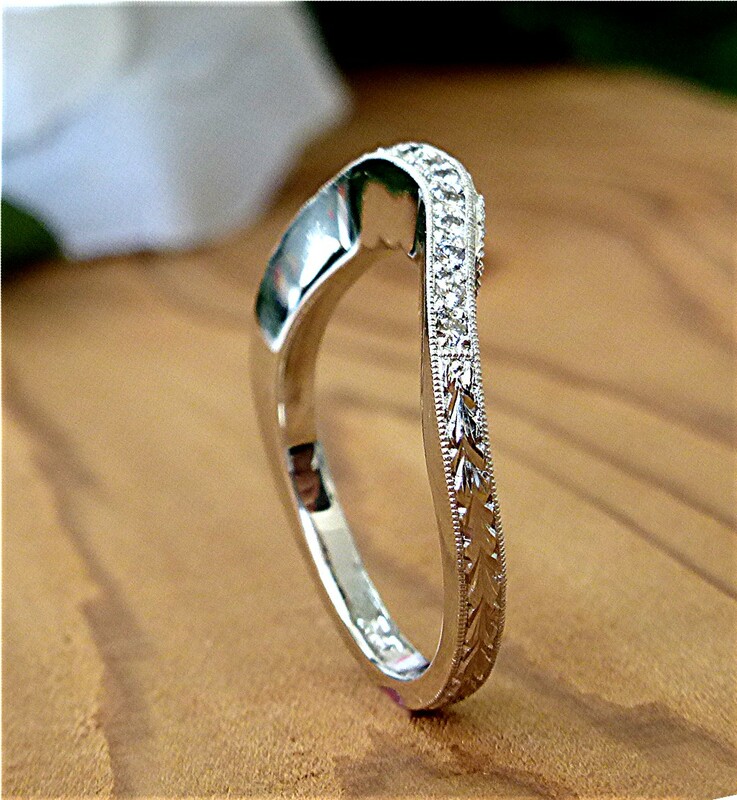 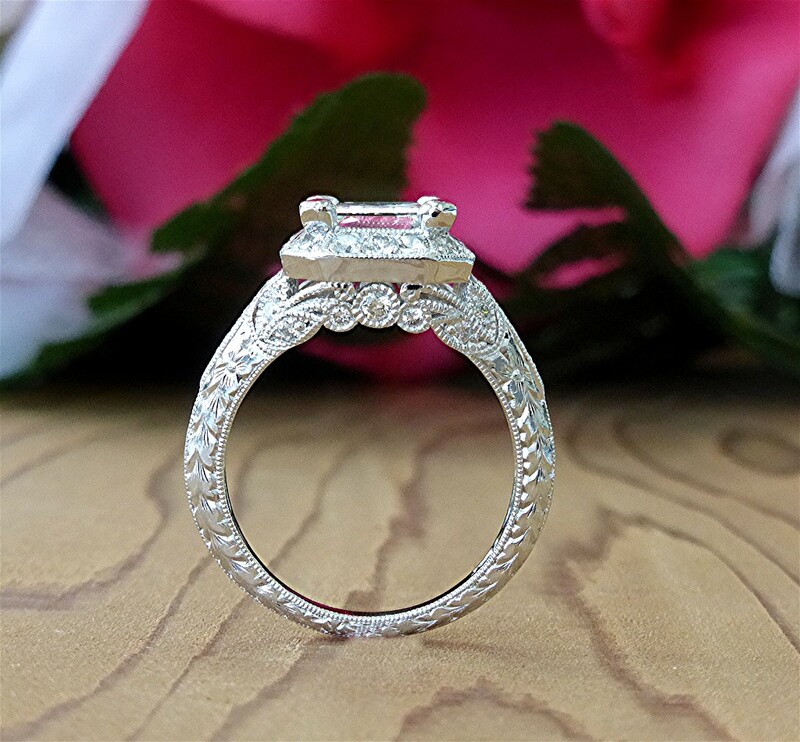 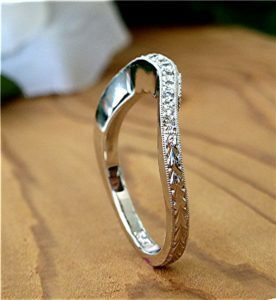 This is matching band for last posted engagement ring, Made of 95%platinum-5% iridium alloy. 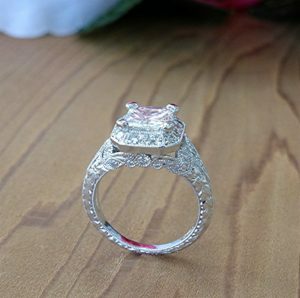 With 23 rounds brilliant cut diamond bead set on top and profile totaling 0.24 carat. 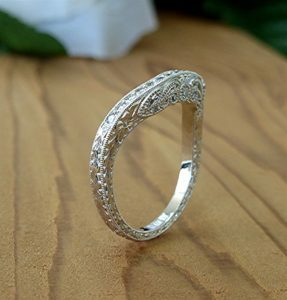 Beautifully hand engraved to match engagement ring patterns. 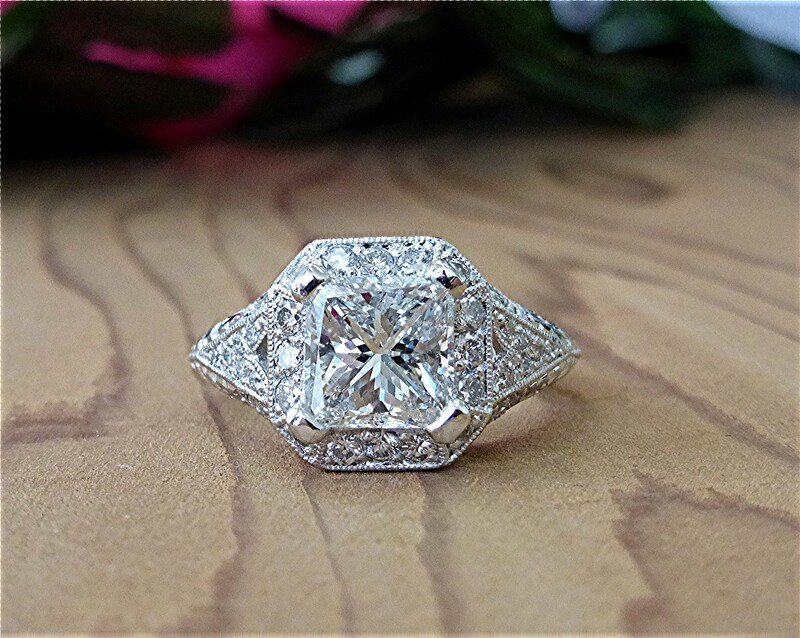 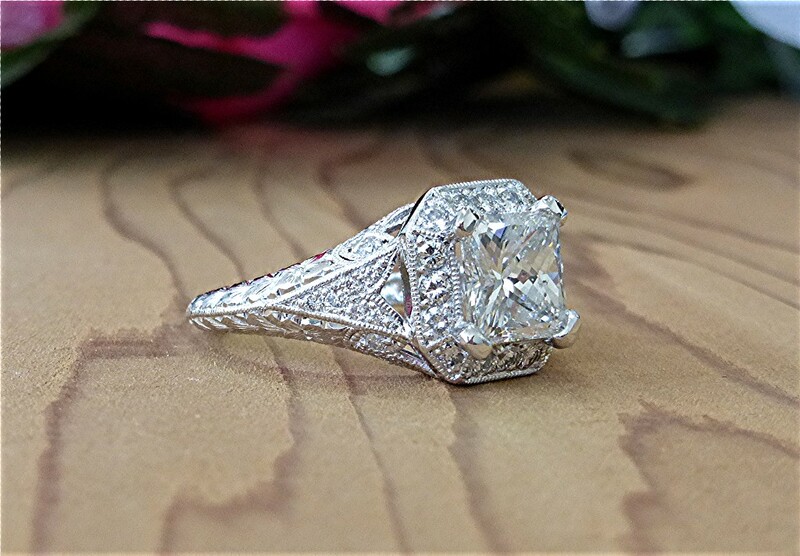 Center is 2.01carat radiant cut diamond “G” color ,“SI1” clarity mounted on a platinum ring with 0.72 carat small pave set diamonds(42 stones) with hand engraving. 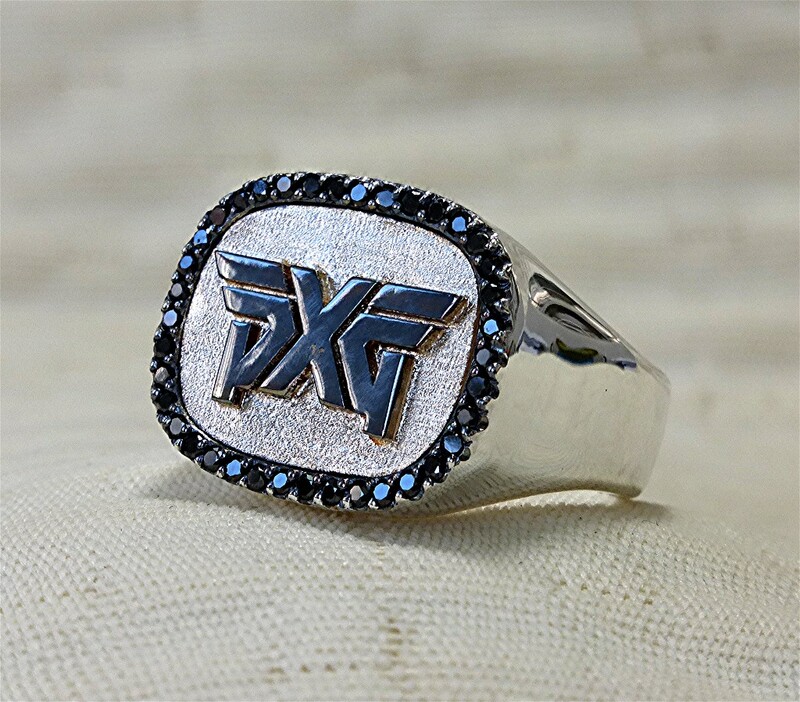 Logo pendant made of gold plated silver. 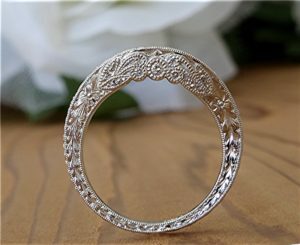 It is about 4.5 inches wide and 3 inches tall and 4mm thick. Bail made for 13mm thick chain. Three level of the design has different finishing texture to expose the details.